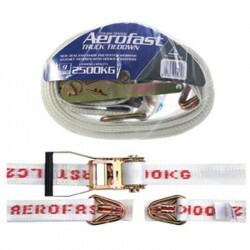 Single 50mm x 9m Heavy Duty Ratchet Tie Down. Single ratchet tie-down. 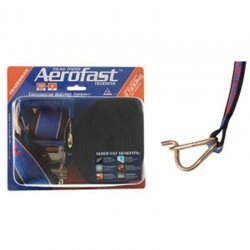 9m long using 50mm-wide webbing with very heavy duty ratchet. Premium model features slow-release safety-lock mechanism.